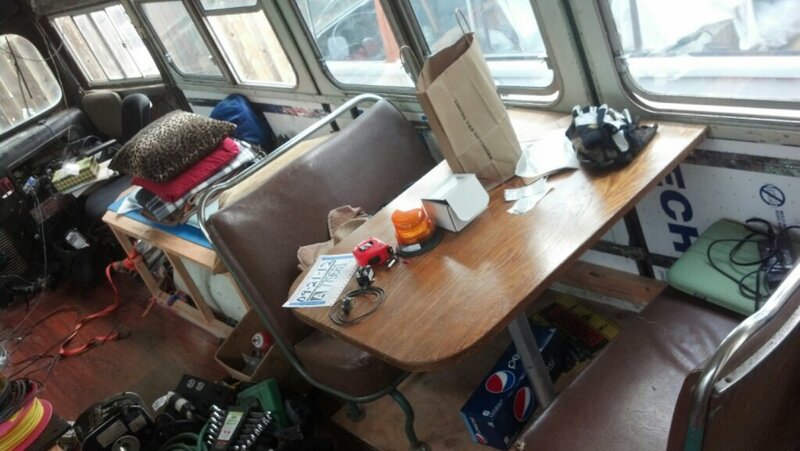 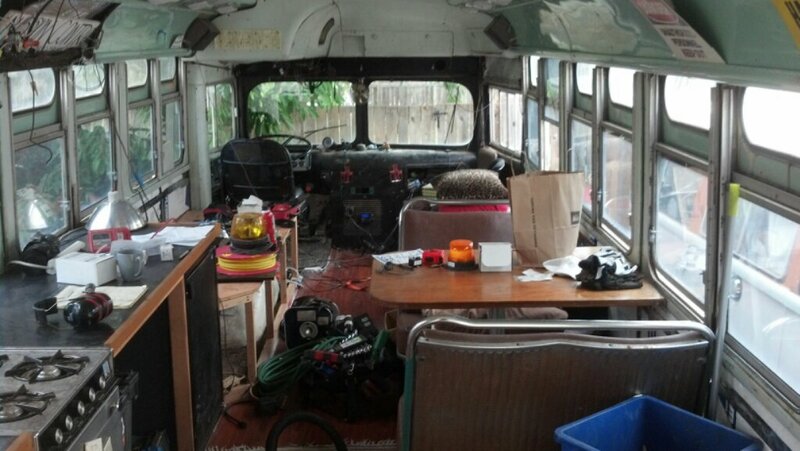 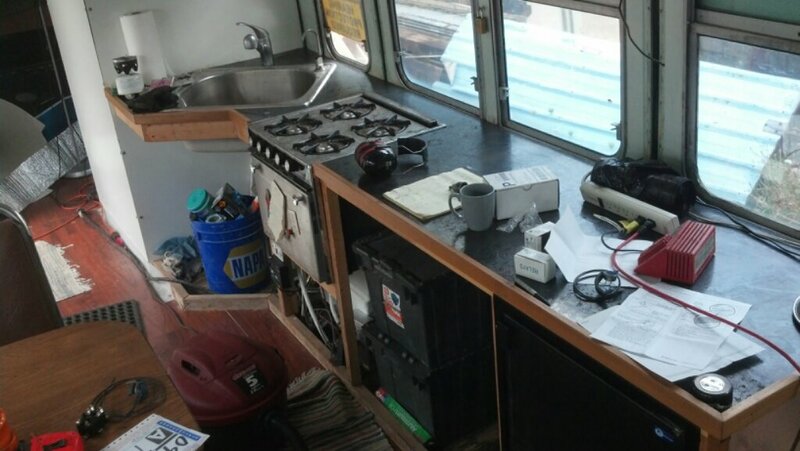 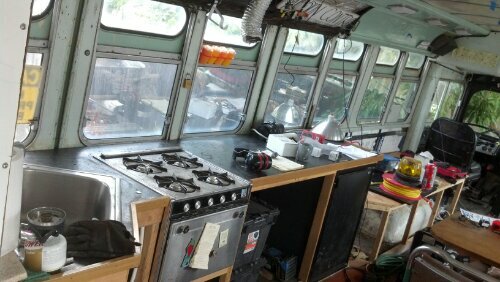 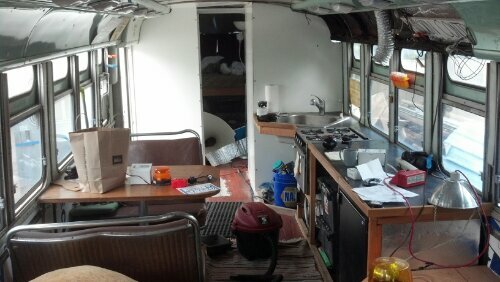 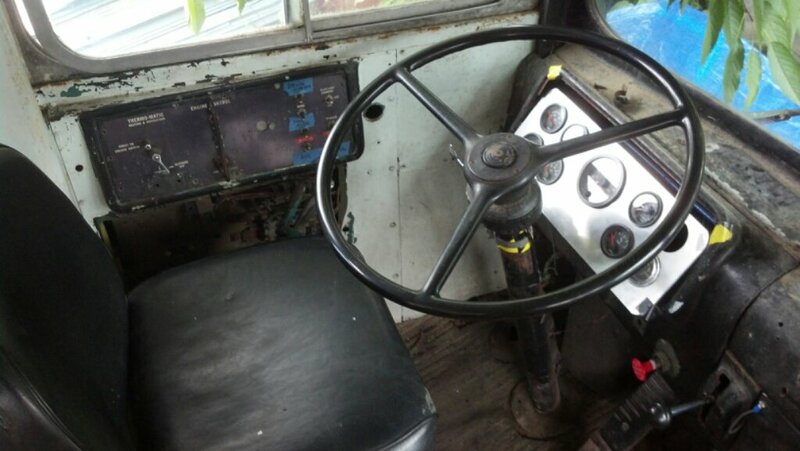 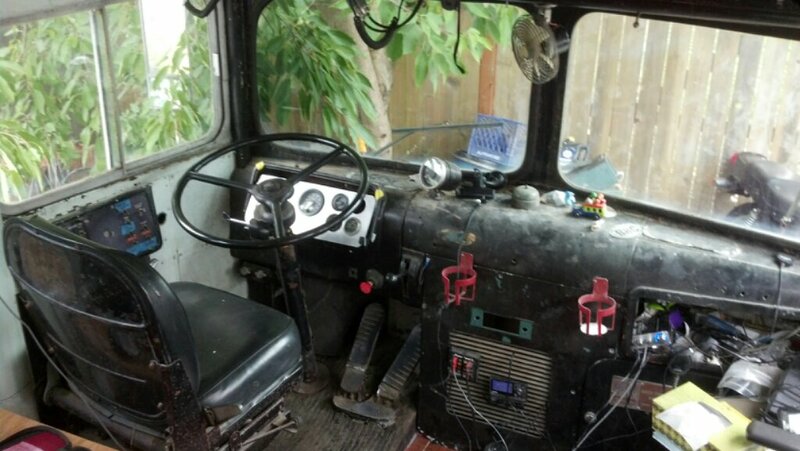 Some quick photos of the inside and current build state before Burning Man 2012. View from the front facing back towards the bedroom/bathroom w/ sliding door open (dining room chairs lightly tilted to help keep people ‘in the seat’. 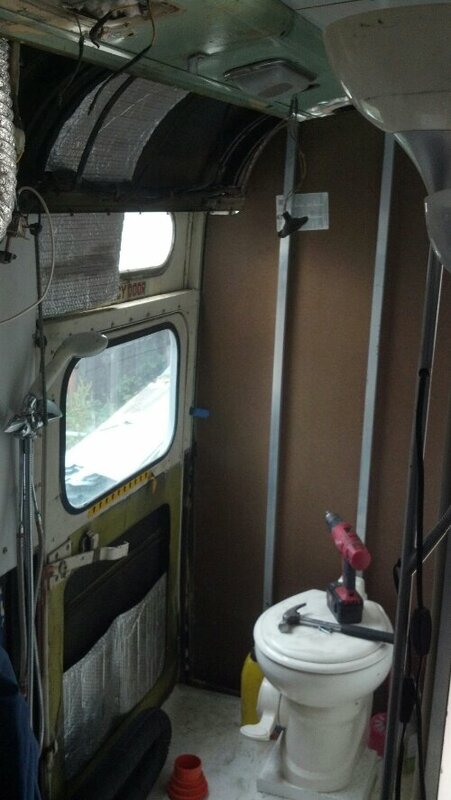 Bathroom current status (removed upper advertisement panels), ready for insulation and plastic wall material behind toilet. looks good,are you going to paint the exterior?